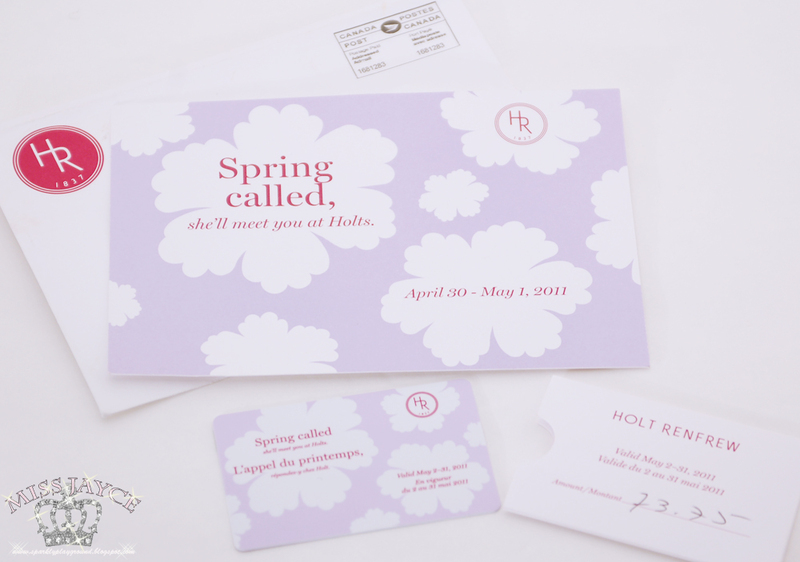 The promotion mail from Holt Renfrew was mailed to me about a week or two ago and I have tweeted it so hopefully fellow readers took advantage of it =) Yesterday, I went down to Holt Renfrew Bloor location with my mom for a bit of shopping. I finally took MY JOY home! I'm very happy with my purchase. It's really hard to find flats that are comfortable for me. I tried on Chanel, MiuMiu, and Tory Burch but haven't had any luck. 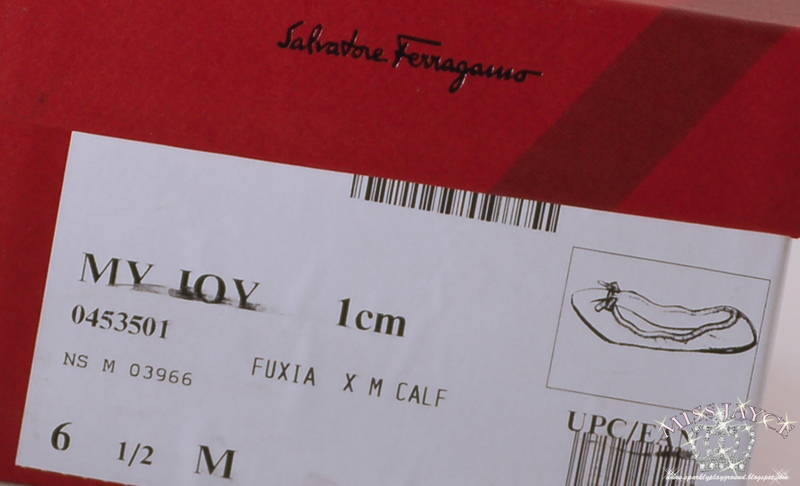 Ferragamo are known for their shoemaking so I knew they are probably going to be my best bet. 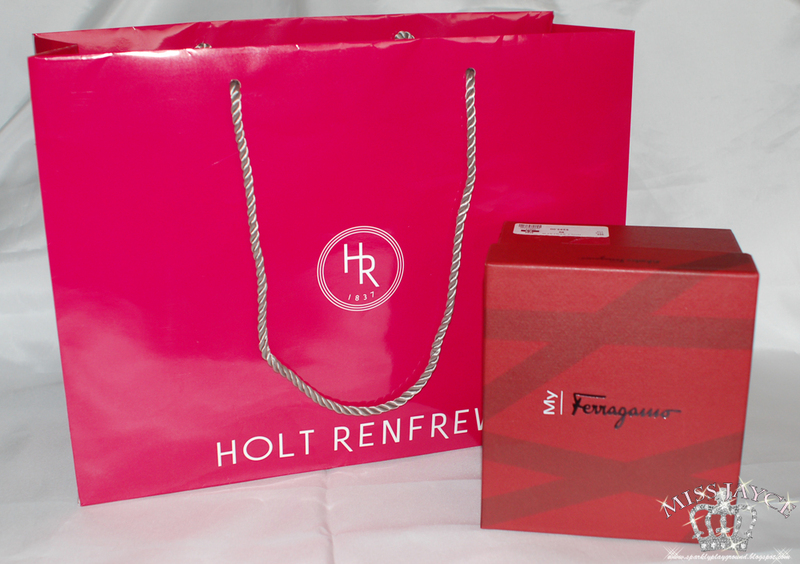 I finally used up my Holt Renfrew gift card from the boyfriend and a bit more to get these. 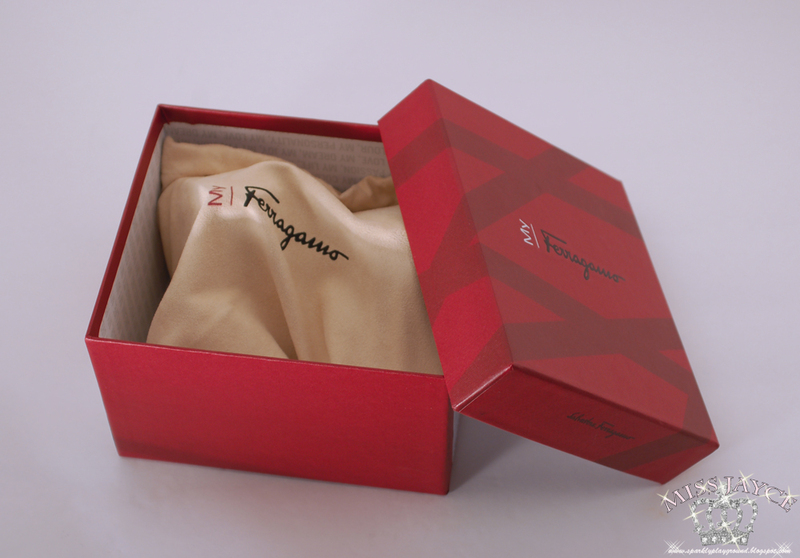 These retails for $275USD on the Ferragamo Online site (complimentary shipping) but it was $295CAD plus tax at Holt Renfrew (came up to be about $335CAD). I guess the strong dollar didn't do much for these prices haha. I knew I wanted these since the last time I saw them (about 4 weeks ago) so the exchange rates don't bother me too much. Also, with the promotion going on, I'm too happy to care anymore! So with the promotion, I got back a $73.75 gift card to use in the month of May. I already placed a hold on a Prada Wallet so I'm tres happy right now. My current wallet is a Chanel but it seriously breaks my heart that its getting a little damaged. The Prada one seems to be more sturdy since its the signature saffiano leather. I'm hoping that the Chanel can take a little break in hopes to preserve it longer. Especially with the recent increase with Chanel's classic bags, it will be a while till I get another Chanel. Tomorrow, the Prada will be mine! I hear there are only two at the Bloor Holt Renfrew and both of them are now on hold. They are already sold out on neimanmarcus.com! So, who said money can't buy happiness? ps, I only found out the pair of flats were called MY JOY when I went to pay for them. This is the closest to JOYCE so, what an added bonus! I can't wait to wear them on sunny days!